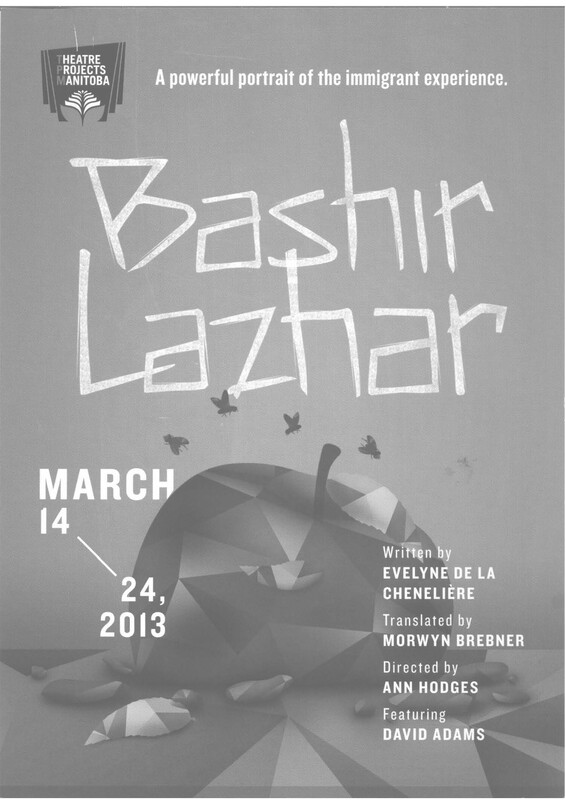 Bashir Lazhar is the acclaimed English translation of de la Chenelière’s exquisite, humanistic and topical play about a substitute teacher helping a traumatized middle school class in the wake of his own path through violent upheaval. 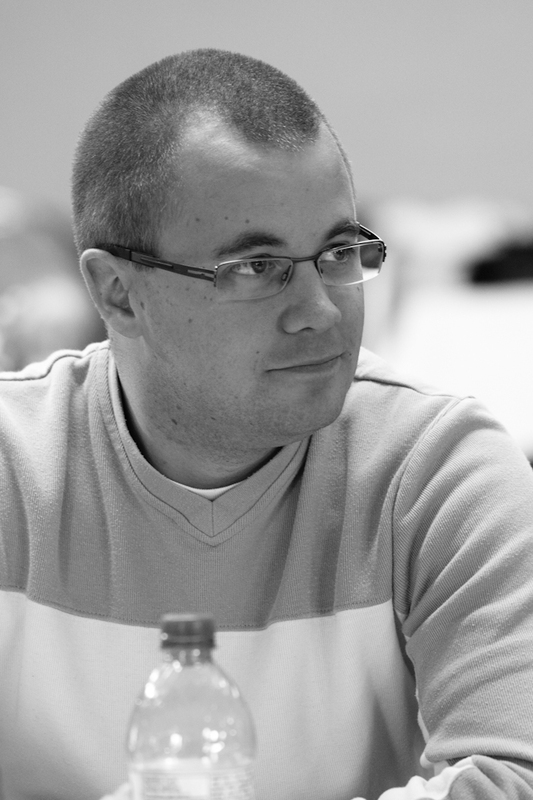 Dispensing with conventional teaching methods, he tries to prepare his students for an unpredictable world. 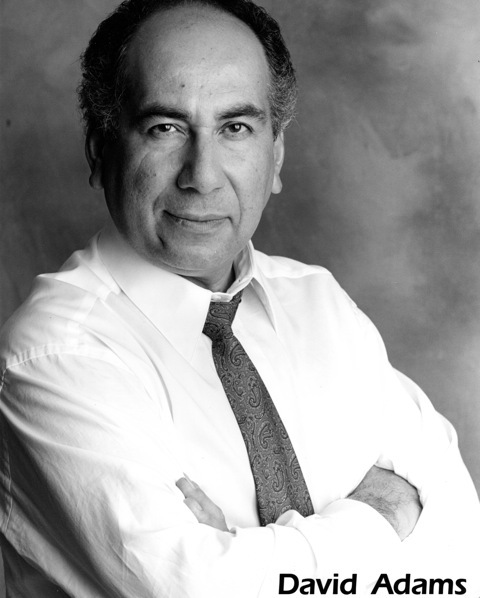 Bashir Lazhar is a story concerned with the language of loss, the process of grieving and the things that compel us forward when our world is no longer recognizable. It is a celebration of survival through love. In 2011 the play was adapted as a film entitled Monsieur Lazhar. It won the City of Toronto Award for Best Canadian Film, was nominated for an Oscar for Best Foreign Film & won a Genie for Best Canadian Motion Picture. “A powerful but delicate human portrait of the immigrant experience: dispossession, alienation and our own habits of intolerance. And since we’re a country of immigrants, refugees from the multiple terrors of the world, we’re confronted with … our own selves” – Liz Nicholls, Edmonton Journal ; 7 Oct 2011. Evelyne de la Chenelière, author and actress, has written several plays which have been produced in Quebec as well as abroad, and translated into several languages. Strawberries in January, Au bout du fil, Henri et Margaux, Aphrodite en 04, L’Héritage de Darwin, Bashir Lazhar, and Le plan américain are all creations that show a meticulous observation of the human nature. While working for the Nouveau Théâtre Expérimental, she often collaborated with Jean-Pierre Ronfard, and works on a regular basis with Daniel Brière. Their last creation Ronfard, nu devant son mirroir, was presented in March, 2011 at L’Espace Libre. In 2006, she received the Governor General’s Award for French language drama for her play Désordre public. In 2009, the play Les pieds des anges (Feet of the angels) was a part of the programming of the theater Espace GO and was nominated for the Governor General French language drama (2009) and Grand Prize of dramatic literature (2010). 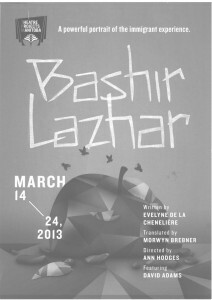 Bashir Lazhar, has been the object of a cinematographic adaptation, written and realized by Philippe Falardeau and produced by Microscope. The movie was nominated for best foreign Language film at the 2012 Oscars, won six Genies and in 2012 received Quebec’s Jutra Prize for best film and best scenario. Her new creation, La chair et autres fragments de l’amour-Adaptation of the book Une vie pour deux from Marie Cardinal, was presented at theater Espace Go this spring 2012. 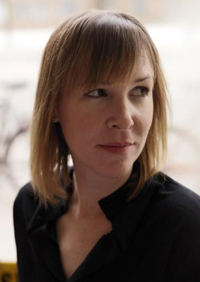 Morwyn Brebner’s debut play, Music for Contortionist, was co-produced by the Shaw Festival and the Tarragon Theatre in 2000 and nominated for a Dora and a Chalmers award. Her play Liquor Guns Karate was produced at Tarragon in the fall of 2000 and followed by the musical Little Mercy’s First Murder, for which she wrote the book and lyrics, and which won of 7 Dora Mavor Moore awards, including outstanding new musical. Little Mercy’s has enjoyed several very successful productions elsewhere in Canada and will make it’s American debut at the New York Fringe Festival in the fall of 2006. One of Morwyn’s most recent plays, The Optimists was produced at Tarragon in September 2005. (It was first produced at Theatre Junction, in Calgary, where it was nominated for 5 Betty Mitchell awards, including outstanding new play.) Morwyn first adapted The Bear and The Proposal, by Anton Chekhov for the Shaw/CBC radio reading series and The Bear was later produced at the National Arts Centre as part of The Vaudevilles of Chekhov. Both were produced at The Shaw Festival in 2006 under the title Love Among the Russians. Her newest stage work, The Pessimist, closed the Tarragon Theatre’s 2006/07 season. Morwyn has translated plays including Motel Hélène, If I Had Sole Possession over Judgement Day, and Mathilde – by French writer Veronique Olmi, which was produced at Nightwood Theatre in 2006 – and the widely-produced Strawberries in January. 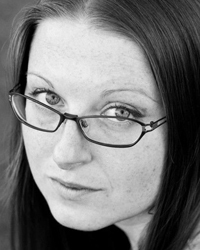 Morwyn has written for the television shows The Eleventh Hour, Camilla McPhee, Copper, and Dirty Work, as well as co-wrote Ken Finkelman’s latest series, At The Hotel, The Jane Show and Moose TV. Morwyn has also written for the TV movie The Crown, and the feature filmShadow Maker. Morwyn co-created the television series Rookie Blue (ABC/Canwest Global) currently filming its fourth season as well as Saving Hope (NBC/CTV) which has just been greenlit for its second season. Morwyn is a graduate of the National Theatre School and a playwright-in-residence at Tarragon Theatre in Toronto. Ann is a theatre and opera director who works across Canada but is proud to call Winnipeg home. 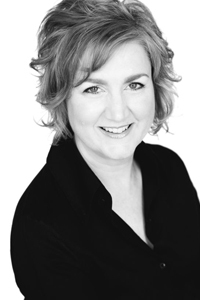 She has previously directed Encore and The Fruit Machine for Theatre Projects. Favourite credits include August: Osage County (MTC), The Secret Mask (GCTC), The Lonely Diner (Blyth Festival), Daughter of the Regiment (Manitoba Opera), Urinetown (Persephone – SATA Outstanding Production), The December Man (PTE), Naomi’s Road (which she co-wrote for Vancouver Opera), Top Girls (MTC), the Opening Ceremonies of the North American Indigenous Games, and participating in a directing workshop with Peter Brook at the National Theatre in London. Ann is a graduate of the National Theatre School. David’s varied career ranges from mega-musicals Showboat, Phantom of the Opera and Sunset Blvd., to three seasons at The Shaw Festival, from various roles in theatres across the country, to many appearances on TV & Film and an extensive list of voice-over credits. Recently, David played Shylock in The Merchant of Venice, was featured in the one-man show Jesus, My Boy, played Daddy Warbucks in Annie, Dara in My Granny the Goldfish, Marley/Christmas Present/Joe in Jeremy Tow’s adaptation of A Christmas Carol, Mr. Green in Visiting Mr. Green, Gino Barbieri in Mambo Italiano, Monsieur Renaud in La Cage aux Folles, General Yepanchin in The Idiot and Isador Strauss in Titanic. David just finished performing in a remount of the acclaimed Electric Company production of Tear the Curtain at Canadian Stage Company in Toronto and will be playing the role of Tevye in Fiddler on the Roof at The Richmond Gateway Theatre for the month of December. Chris Coyne has been involved in the theatre and film industry In Winnipeg for many years. Currently working for the Department of Theatre and Film at the University of Winnipeg, Chris is also a graduate of the Ontario Institute of Audio Recording Technology. Chris has had the pleasure of working with many local and international theatre groups including The Black Violin, Rick Hansen Society, The Winnipeg International Fringe Theatre Festival, Fem Fest, Theatre Projects Manitoba, and many others. Credits include “Angel’s in America” with Winnipeg Jewish Theatre, “EDEN” – Sarasvati Productions, “Three Sisters’ – Zone 41, A Striped down Version of Midsummer Night’s Dream- SIR. This is Joan’s first engagement with Theatre Projects Manitoba. Joan Murphy Kakoske was born in Montreal and is a graduate of The National Theatre School. She also studied set & costume design for musical theatre and opera at the Banff Centre. 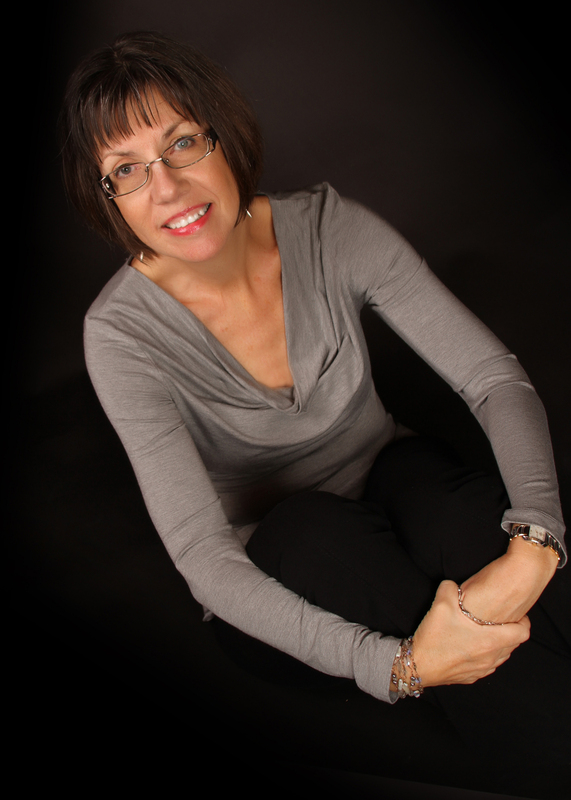 She has designed productions for Manitoba Theatre Centre, Le Cercle Moliere, Manitoba Theatre for Young People, Prairie Theatre Exchange, Popular Theatre Alliance, The Charlottetown Festival and Alberta Theatre Projects playRites Festival. Joan’s creative life is an ongoing tapestry bringing together many threads past and present which include set and costume design, running a successful event décor company, being a visual artist, avid gardener, bonsai stylist and nutritional lifestyle coach. Joan is endlessly grateful for the heartfelt support of her husband, Dennis, her family and friends. This production marks a return full circle to the magic of the stage, the teamwork and the story. TPM Past Productions: Apprentice Stage Manager Stretching Hide, 2007; Assistant Stage Manager Age of Arousal, 2009, Stage Manager In The Chamber: Murder Ballads, 2008. Other Credits: Stage Manager Courageous, New Stages Peterburough; Dying City, Surface/Underground Theatre; Lebensraum, Essay & The Russian Play, Death of a Salesman, Betrayal, The Father, One of Ours, Winnipeg Jewish Theatre; An Illustrated History of the Anishnabe, MTYP; The Cure for Everything, Theatre Passe Muraille. Assistant Stage Manager Come Back Little Sheba, Helen’s Necklace, Shaw Festival; The Little Years, Richard III, Evita, The Stratford Shakespeare Festival; Country Legends, Me & My Girl, Brigadoon, Guys & Dolls, Drayton Entertainment. Ivory would like to thank her mother Betty and her Fiancee David for their constant support and encouragement.